I’m very particular about what I put on my skin, especially as it can be sensitive to harsh ingredients. So I’m a big fan of DHC, a renowned Japanese skincare company, available directly to you online. All my girlfriends know how much I love beauty, make-up and skin care products - I’m totally the easiest person to buy a gift for. But I appreciate quality and I love how the DHC skincare ranges only use the finest ingredients. Plus their products don’t contain parabens and other additives. This is crucial to me and I’m sure it is to you too. I was thrilled when the lovely people at DHC sent me some more of their fabulous ranges to dip into. It’s been a beauty-fest at mine and here’s the low-down on a variety of products. As a psychologist and self-help expert I know it’s important to take a holistic affect to feeling your best. Most important of all is how your inner-self feels – hopefully confident and ready to face the world. But your outer-self impacts on that, and when your skin is glowing it all helps! So let’s get down to some of the products I’ve tried, beginning with one of my all-time favourite beauty products the CoQ10 Eye Cream! It’s rich in hydration, the skin around my eyes looks smoother and relaxed due to the extensive combination of luxury ingredients. Just what’s needed! I have a lot of late nights – a proper night owl – and the Eye Bright De-puffing Gel is a must-have. It’s an instant eye-puffiness fix but not ‘drying’ like some such treatments. It manages to combine hydration plus a brightening effect. The Beauty Lift Eye Care Essence Roll On is a bit pricier than the Eye Bright and it’s worth experimenting to see which you prefer. I love the feel applying it, it glides on and gives a lovely lift. Like so many, I worry about all the sun damage to my neck-zone. I love the delicious texture of the CoQ10 Neck Cream which is chock-full of nourishing, moisturising, active botanical ingredients. Another product, fantastic for both face and neck, is the AHA Renewing Cream. It’s a powerful concentration sweeping away the lifeless cells, leaving skin feeling refreshed. For use once or twice a week the bottle will last a long time. I always need hydration and both the Platinum + Silver Nanocolloid Cream and its sister product, the Platinum + Silver Nanocolloid Milky Essence are perfection. I really want a product that does what it says but without feeling ‘thick’ to apply. These both manage it and I spoiled myself and applied the cream on top of the essence! Staying with this moisturising theme – offering real moisture but not having a heavy feel – is the Extra Night-time Moisture cream. This is vitamin-rich and left my skin feeling fully moisturised without the pillowcase being fully moisturised too. It’s not ‘gloopy’! 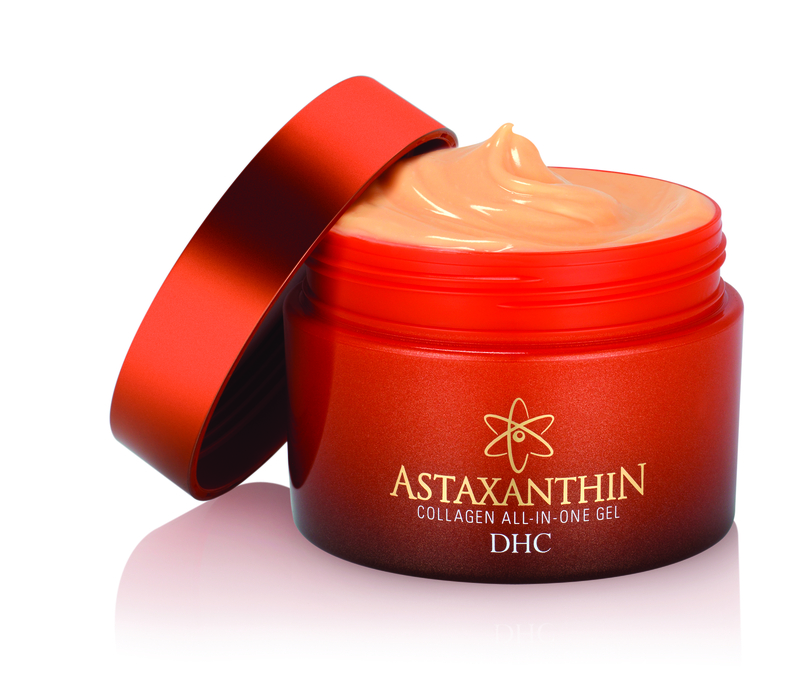 If you want the perfect all-in-one solution to moisturise and firm then definitely try the Astaxanthin Collagen All-in-one Gel. Despite how it contains a powerful antioxidant and other important ingredients, I was so pleased it wasn’t a problem for my supersensitive skin. I work hard and play hard so I love a quality facemask. Each DHC mask I’ve tried fits the bill for either a moisturising experience or a pick-me-up treatment. The Co-enzyme Q10 Mask is a proper ‘SOS’ for tired skin. The Bio Cellulose Mask is refreshing and brightening, a godsend before a night out. The A-Arbutin White Mask is another brightening treatment that is so reasonably priced! I hope this is giving you some ideas to try but please check out their site as there is such an incredible range on offer.